Stellenbosch – Concerns about cyber-crime being a huge problem in Africa and also in the BRICS countries – one of which is SA – have been tabled numerous times, but result in more talk than action, Dr Brett van Niekerk of the University of KwaZulu-Natal Westville, warned on Thursday. He was speaking at the 14th International Conference on Cyber Warfare and Security, hosted by the University of Stellenbosch in conjunction with the CSIR. In order to prevent major escalations in cyber-crime, South Africa must build collaborations to try to create stability in the Southern African region, according to Van Niekerk. In his view, there are limited considerations of state-backed cyber attacks among countries in the SADC region, and Africa in general is weak in cooperation with regard to addressing cyber risks. "Coercive cyber capabilities are becoming a new instrument of state power as countries seek to strengthen national security and exercise political influence," he said. "The security dilemma is that states are attempting to increase their security and decrease the security of other states," said Van Niekerk. Military capabilities in the world are, therefore, being upgraded to monitor the constantly changing cyber domain. He noted that, despite SA having cyber security agreements with China and Russia, cyber espionage activity originating from both these countries have been detected in SA in the past. According to Van Niekerk, activity originating from China in the past usually related to the Dalai Lama. For example, when he intended to visit SA, there was usually a spike in cyber espionage targeting groups related to the visit. Van Niekerk used Mauritius as an example of an African country doing well in terms of attempting to use legislation and the building up of a good IT base to address cyber crime. As for SA’s proposed Cybercrimes and Cybersecurity Bill, Van Niekerk said the process of finalising it appeared to be slow. "When compared to other African countries, SA seems strong in terms of its capability to deal with the issue of cyber crime, but in a global context it appears weak," said Van Niekerk. 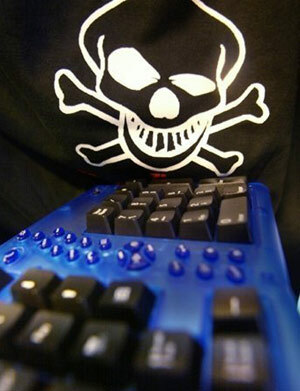 "SA needs clear policy statements on cyber crime, signalling our intent in dealing with it. SA must be clear on how it will respond to suspected network intrusions."